With preset carbides in 4 different angles and a tapered ceramic hone, the QuadSharp is a lot of sharpener in a small package. 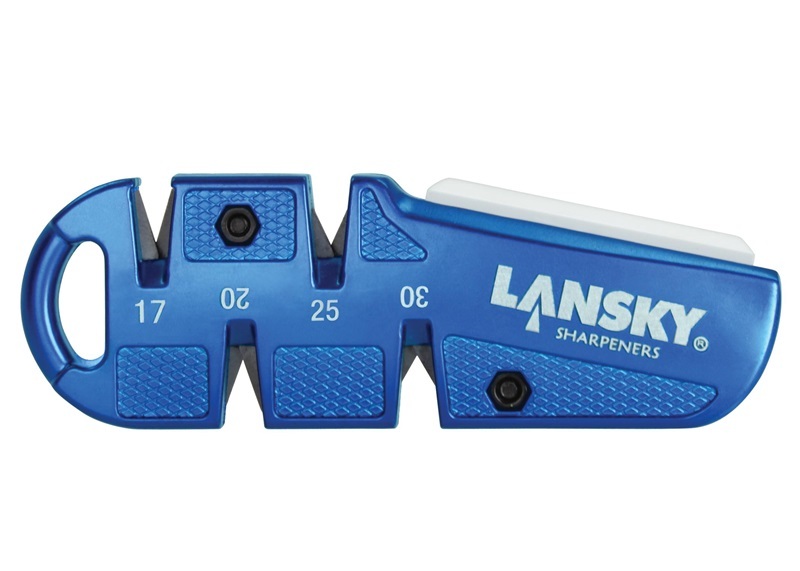 The Lansky Multi-Angle Quad-Sharp features 4 "V" sharpeners, each with carbides set to a different angle. Now you can maintain your knives in the field whether they are sharpened to 17, 20, 25 or 30 degrees. The ceramic hone refines and polishes edges after the carbides create the angle. It is hard wearing for a long life. 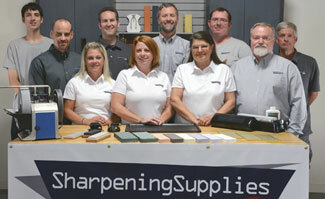 The ceramic hone is tapered so that it can be used for sharpening serrated blades as well. Q. How large is the Multi-Angle QuadSharp? A. The QuadSharp is designed for use in the field so it fits comfortably in your pocket. It is approximately 4 -3/8" x 1-1/2". Q. Is there a similar Multi-Angle Pull Through Sharpener with finer hones? A. Yes. The Lansky Multi-Angle C-Sharp is based on the QuadSharp, but with all ceramic hones.